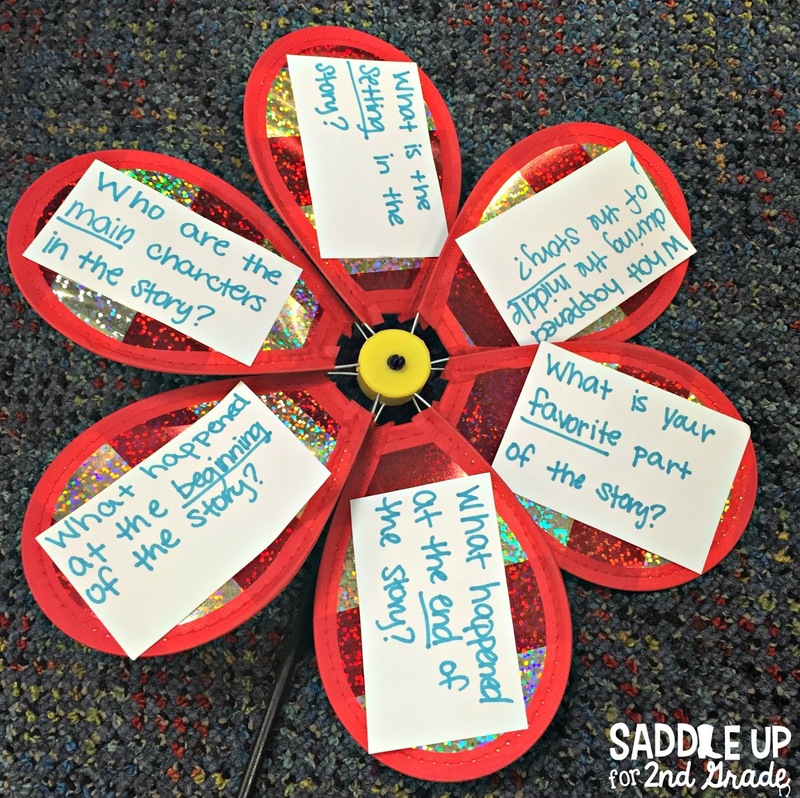 I’m always looking for fun ways to incorporate comprehension into my small group time. This week, I’ve been setting up my new classroom came across these pinwheels that I bought from the dollar store. Today, I’ll be sharing how I use these little gems during my small group time. A few years ago, I came across these fun pinwheels at the dollar store. I bought a few to use during my small group time. All I did was write comprehension questions on index cards and tape them onto each pedal of the pinwheel. This example has story element cards. 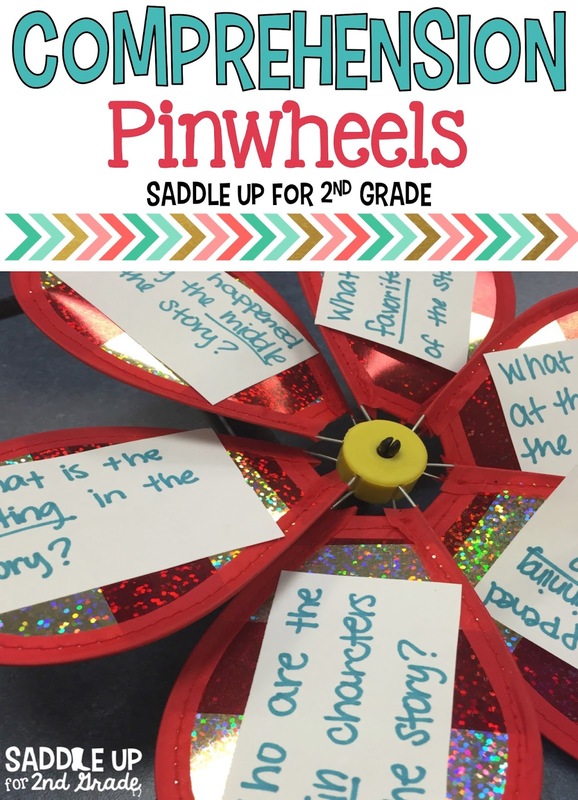 Have your students spin the wheel and answer the question that is at the top. It’s that simple! I love these because they can be used for so many different topics across all subject areas. 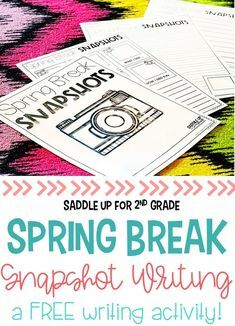 I have sets for math and vocabulary too. The possibilities are endless. So the next time you see these little gems in the dollar store, grab a few! The kids love them.